Cubism is a new 3D casual game from independent game developer OggaSoft. 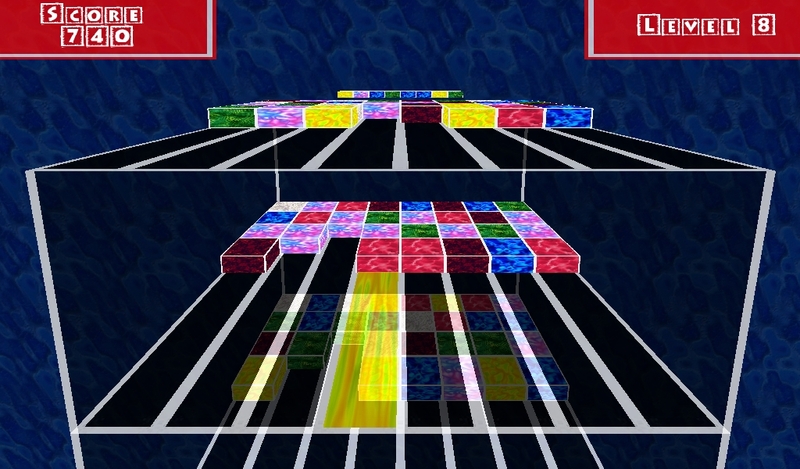 It's sort of a mix between Tetris & Bubble Shooter put together in a 3D game arena. The game contains a lot of levels - each one is a bit different. It starts out rather easy and gets harder and harder as you progress through the levels. CAUTION! This game is VERY addictive! A demo version can be downloaded for free from our site. The full version of Cubism has been released and can be downloaded at the OggaSoft website (for a measly $5.99). A free fully functional demo can also be downloaded from the site. Cubism is a new 3D casual game from independent game developer OggaSoft. It's sort of a mix between Tetris & Bubble Shooter put together in a 3D game arena. The game contains a lot of levels - each one is a bit different. It starts out rather easy and gets harder and harder as you progress through the levels. CAUTION! This game is VERY addictive!